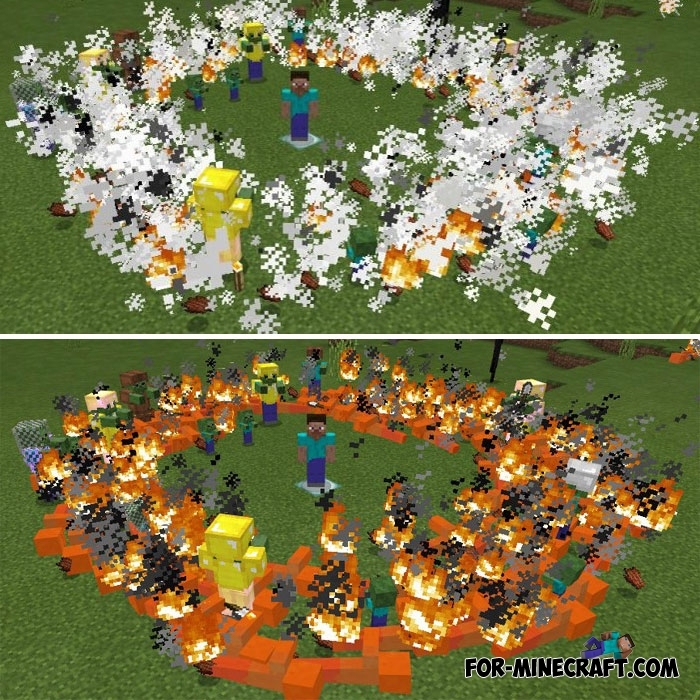 If you like making attractive screenshots in Minecraft Bedrock, but you do not know how to get the mobs to stand still then immediately download this addon. It removes the mobility of mobs, so mobs will only stand still and use moving parts of the body. The other characteristics are not changed so do not go close to very dangerous creatures if you do not want to get a powerful blow. In order to make a beautiful screenshot in MCPE, you need to perform a few simple steps. 1. Activate the addon in the game settings. 2. Select the creative mode and spawn the mobs you want to see. After spawn, the mobs are not able to move around, consider this. 3. Open the game settings and turn off the HUD. 4. Make a screenshot using the button or the key combination. How to install the Beautiful Screenshots addon? 1. Download the file and run the game. 2. Activate the behavior pack.